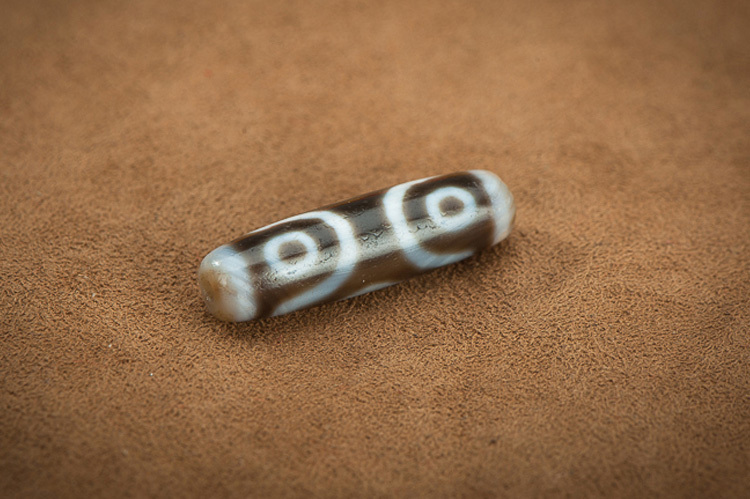 Genuine Tibetan Old Three Eyes DZI Cinnabar DZI Bead. 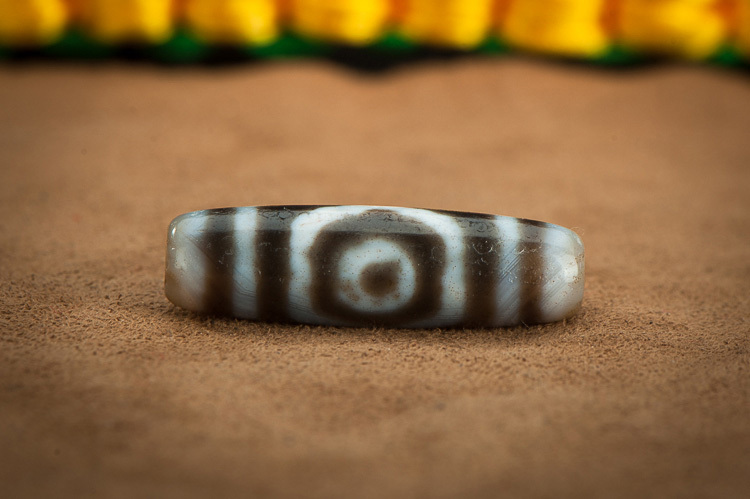 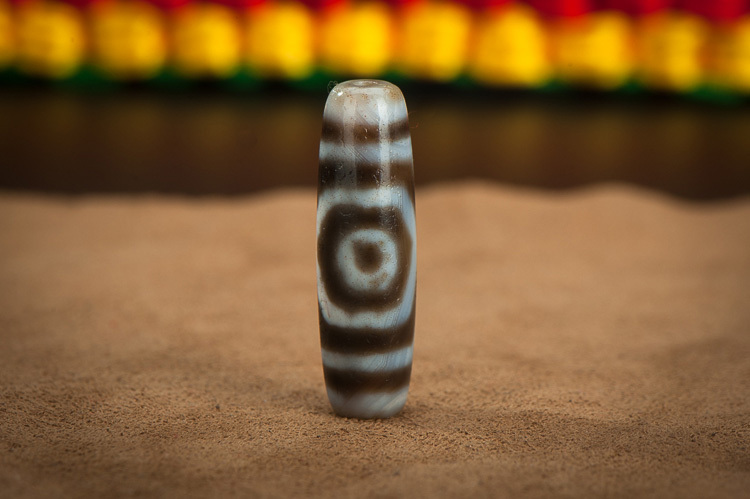 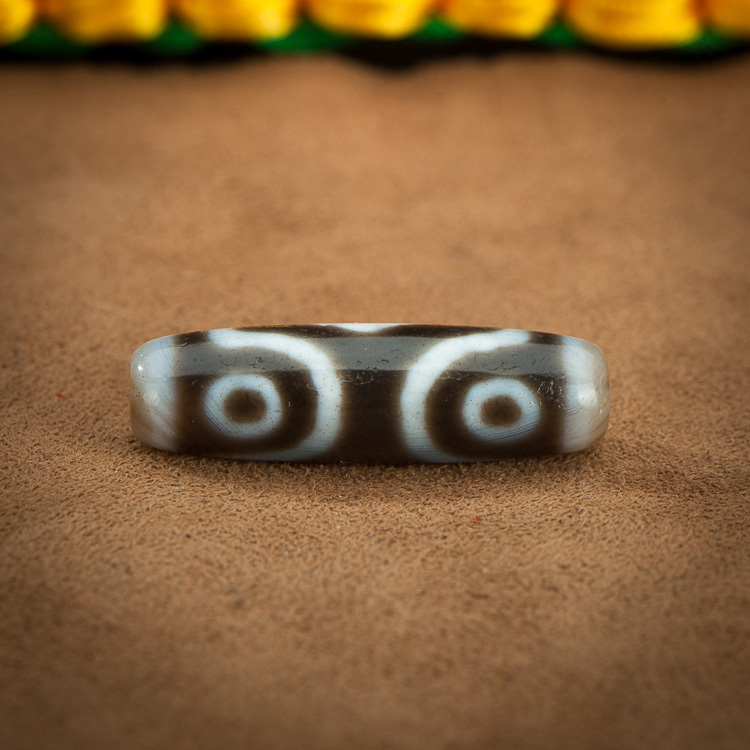 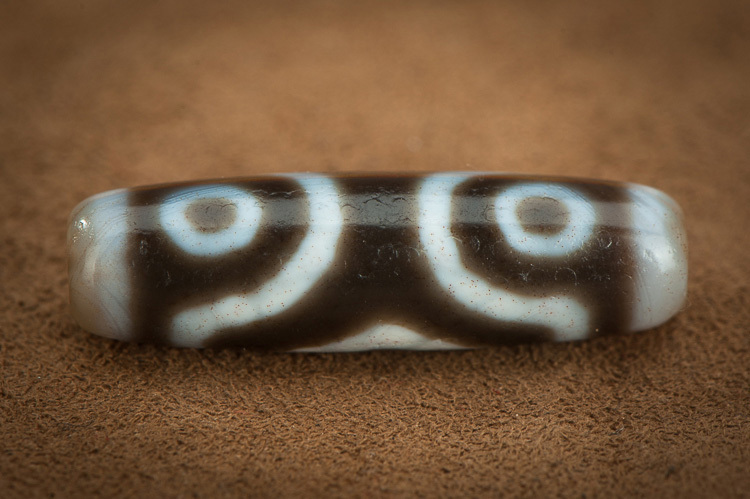 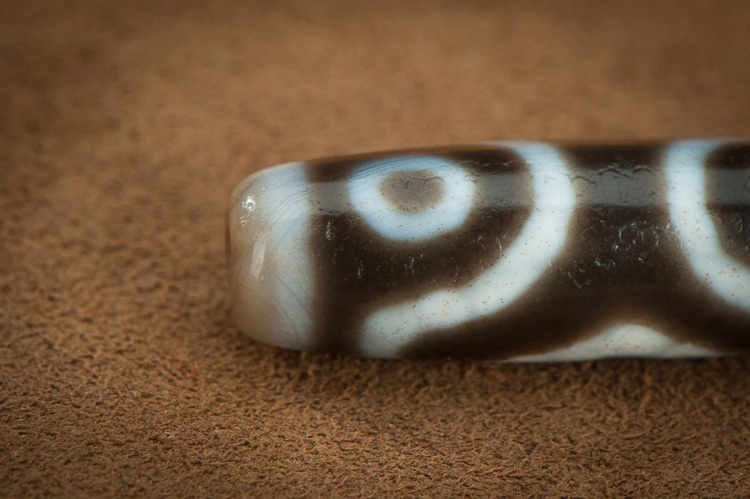 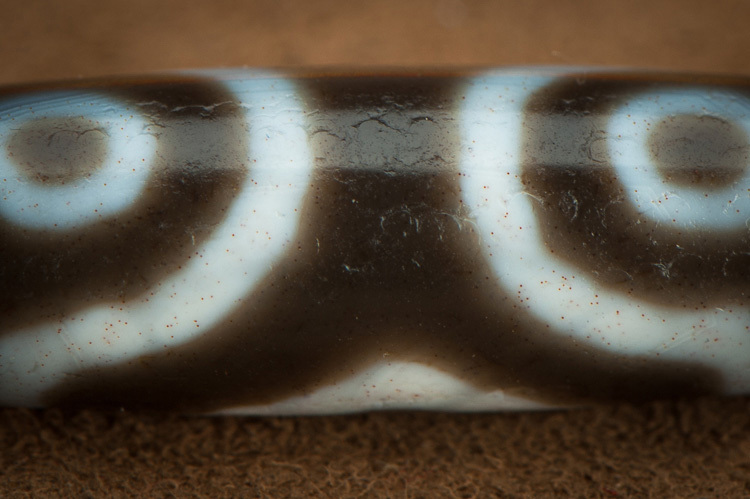 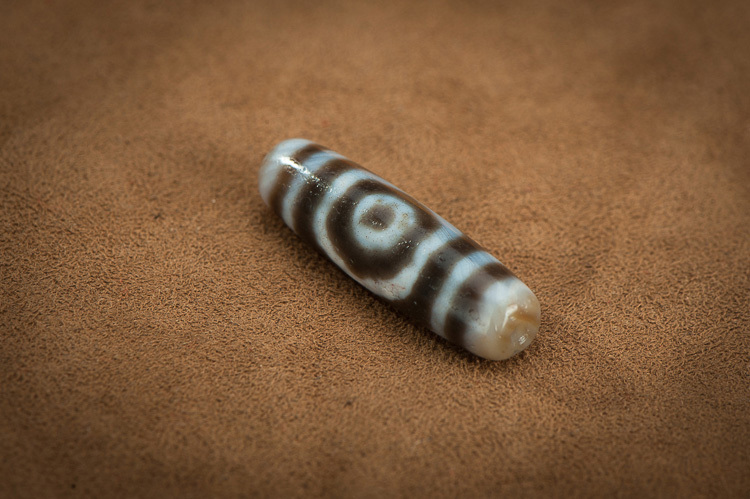 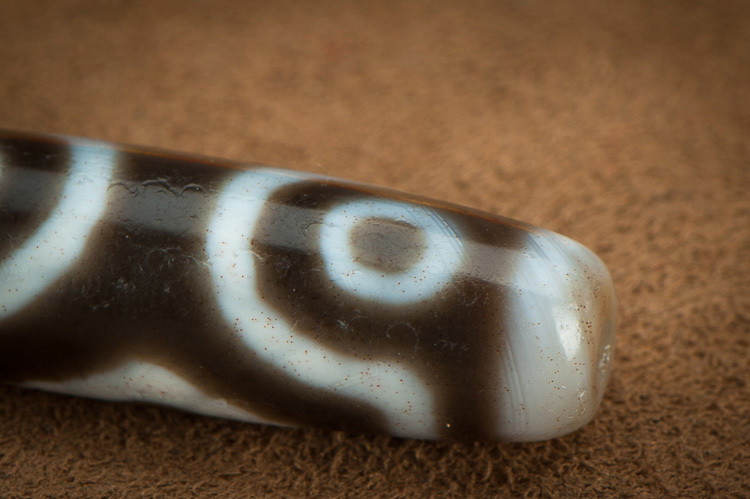 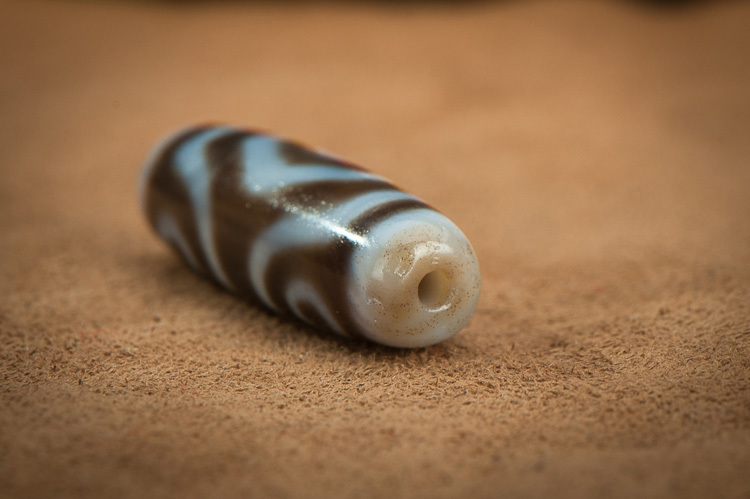 This Three-eyes dzi bead was collected for many years and was blessed in the temple. 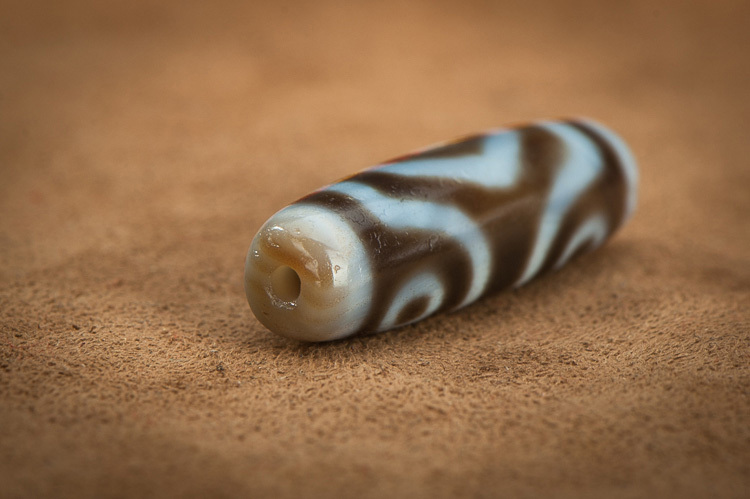 It is genuine old dzi, not new, not fake dzi bead. 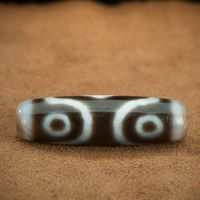 DZI Size: 40*12mm.